This tombstone is located in the children’s section of Zion’s Cemetery. 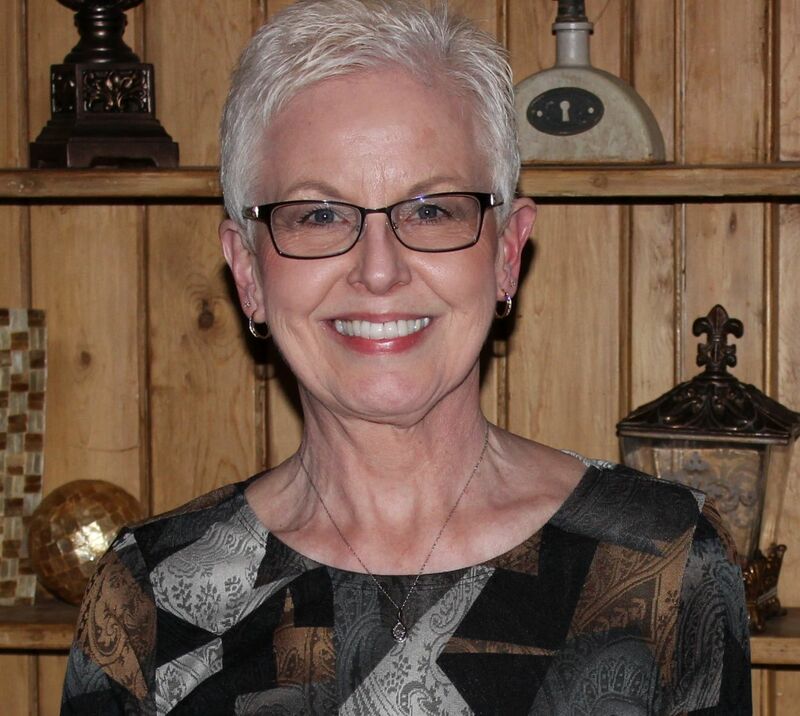 This child was stillborn  and was the fourth child of William A. and Margaret Elizabeth “Maggie” (Kallenberger) Hoehamer. There is no mention of his burial in Zion Chatt’s records. 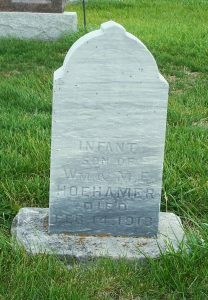 The baby’s father was William Hoehamer and was born March 1875 in Auglaize County, Ohio, to Nicholas and Anna (Manzelman) Hoehamer. William married Maggie Kallenberger on 24 May 1900, married by Zion Chatt’s Rev. R. V. Schmitt. Maggie was born in January 1874 in Blackcreek Township, the daughter of Michael Andreas and Elisabeth (Burkhart) Kallenberger. The mother Maggie (Kallenberger) Hoehamer died in 1950 and is buried in Zion Chatt’s cemetery. The father William Hoehamer died in 1956 and is buried in Mount Hope Cemetery, Adams County, Indiana. “Ohio Death Index, 1908-1932, 1938-1944, 1958-2007,” FamilySearch.org (accessed 24 Apr 2017), Stillbo Hoehamer, 14 Feb 1913; OHS, Columbus; ODH, State Vital Statistics Unit. “Ohio, County Marriages, 1789-1994,” index and images, FamilySearch.org (accessed 21 Jul 2013), W.A. Hoehamer and Maggie E. Kallenberger, 1900; Mercer County Marriages, Vol. 8: 141.